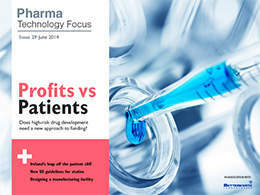 Pharma Technology Focus is the essential reading material for decision-makers in the pharmaceutical industry, bringing you the latest news and analysis in an exciting, interactive format. 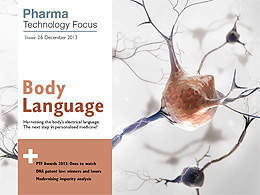 Produced by a team of experienced editors and contributors, this monthly magazine brings together the latest insights and innovations from across the industry, including new discoveries, R&D and clinical trials, manufacturing technologies and supply chain management, as well as insiders’ views and in-depth analysis of the latest market and investment trends and regulatory changes affecting the industry. 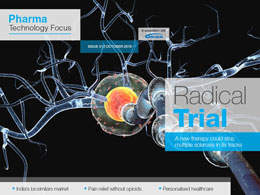 Pharma Technology Focus is free to read on all devices. 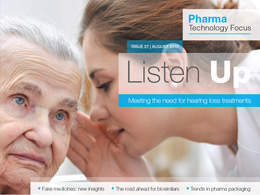 Subscribe to Pharma Technology Focus and never miss an issue. In this issue: A toolkit to enhance the user experience for life sciences, the problem of unapproved antibiotics in India, a new taxonomy for traditional Chinese medicine, inside Canada’s Centre for Drug Research and Development, and more. In this issue: The world’s pharma manufacturing hotspots, creating a universal flu vaccine, obstacles to improving the treatment of Alzheimer’s disease, the potential of growth drugs, detecting racemisation in drugs, and more. 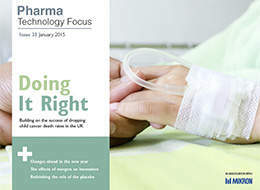 In this issue: The benefits of seamless clinical trials, a new functional cure for HIV, using mRNA to target cancer tumours, the potential of magnetic hyperthermia in killing cancerous cells, a look at drug pricing policies around the world, and more. In this issue: How cancer drug resistance works, accessing funding for rare diseases, India’s attempt to redefine over the counter drugs, the biotech potential of slipper limpets, Dundee University’s influence in pharma research, and more. In this issue: Breaking cancer’s drug addiction, the NHS’ decision to switch from biologics to biosimilars, Elsevier’s common model for data sharing, a generic antiretroviral for HIV/AIDS, the opioid addiction crisis in the US, and more. In this issue: We round up the biggest pharma developments and stories from around the globe in 2017, consider the impact Brexit could have on IDMP preparations, take a closer look at the outlook for the pharmaceutical industry in 2018, and more. In this issue: Calls for closer ties between the NHS and pharma, Norway’s unique prescription database, a new way to reduce the risk of heart attacks, MDMA’s potential to treat PTSD, a curative compound derived from red sage, and more. In this issue: Using drugs after their expiration dates have passed, treating lactose intolerance, a closer look at CARB-X’s work on antibacterial R&D, helping nanomedicines reach their target, radioactive isotopes battling cancer, and more. 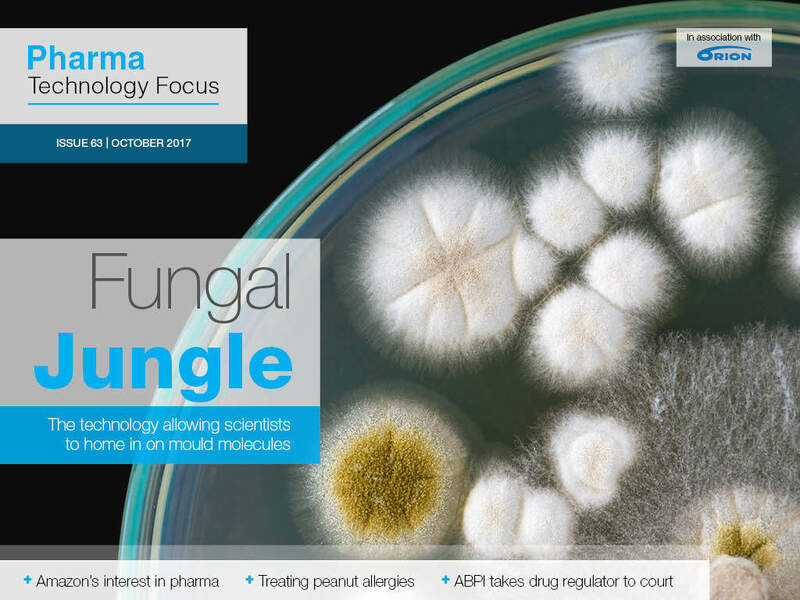 In this issue: UK pharma industry takes NICE to court over price caps, Amazon’s potential to enter the US pharmacy industry, a new platform to capture molecules from fungi, the current state of drug development in osteoporosis, and more. 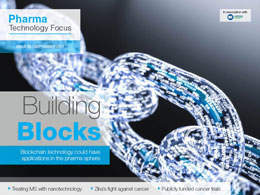 In this issue: A new tool to encourage links between industry and academia, blockchain’s applications for pharma, using Zika to attack brain tumour cells, treating MS with nanotechnology, the benefits of publicly funded cancer trials, and more. 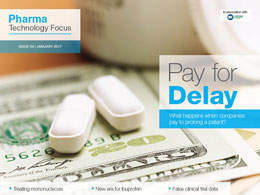 In this issue: The UK’s healthcare spending problem, PhRMA’s new R&D spending requirements, undermining supply chain security by importing foreign drugs, milestone cystic fibrosis trials, a personalised treatment approach for panic disorder, and more. 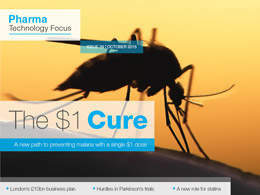 In this issue: Solving US drug pricing issues by importing cheaper Canadian drugs, underexplored fields in immuno-oncology, a new temperature-resistant rabies and yellow fever vaccine, the increasingly popularity of adaptive clinical trials, and more. In this issue: Challenging the link between innovation and US drug pricing, the impact of Brexit on life sciences companies, a new study on the effects of cognitive-enhancing drugs, using crowdfunding to unlock cancer therapies, and more. 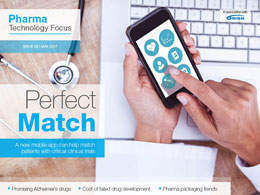 In this issue: Promising Alzheimer’s drugs in development, potential applications for the hormone kisspeptin, the cost of failed drug candidates, a new app matching patients to clinical trials, pharma packaging trends, and more. In this issue: Japan’s pharma industry looks abroad, Trump’s plans for US drug manufacturing, unlocking regenerative medicine, the medical benefits of turmeric, the dangers posed by first-in-human drug trials, and more. In this issue: Clinical research in the UK, fighting diabetes with peptides, balancing speed and safety when reviewing new drugs, the potential of shark antibodies to treat Alzheimer’s, Elsevier’s new project to boost innovation, and more. 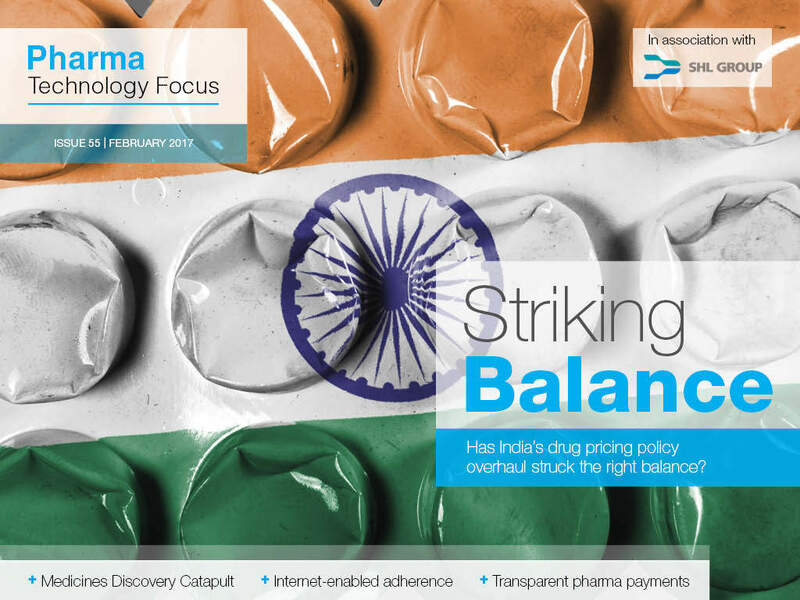 In this issue: India’s new drug pricing policy, bringing transparency to pharma industry payments, a UK innovation centre enabling new means of drug discovery, how artificial intelligence is being used in drug development, and more. In this issue: Senator Bernie Sanders continues to rail against the pharma industry, why companies pay to prolong patents, a new genomic array helping fight disease in Africa, treating mononucleosis, a new era for ibuprofen, and more. 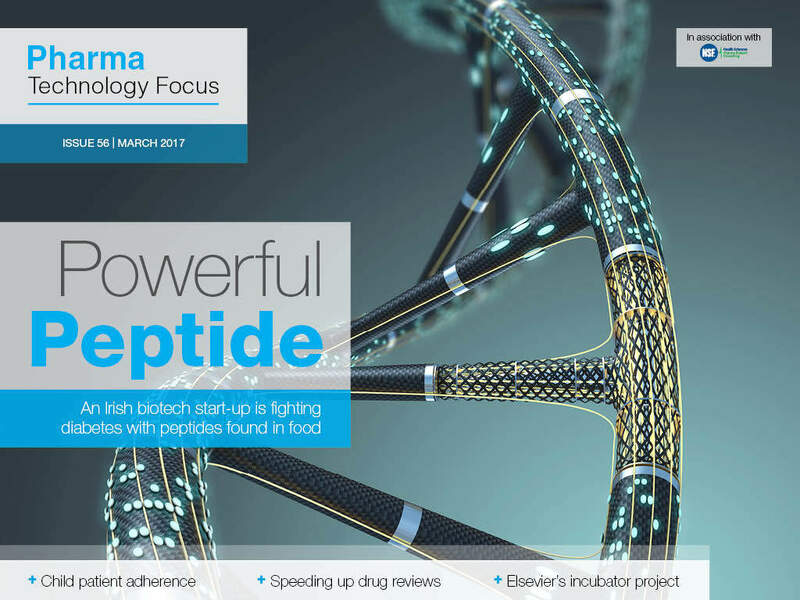 In this issue: Pfizer’s acquisition of AstraZeneca’s antibiotics unit, new ideas to tackle antimicrobial resistance, vaccines to look out for in 2017, targeting Tourette syndrome, using ketamine to treat depression, and more. 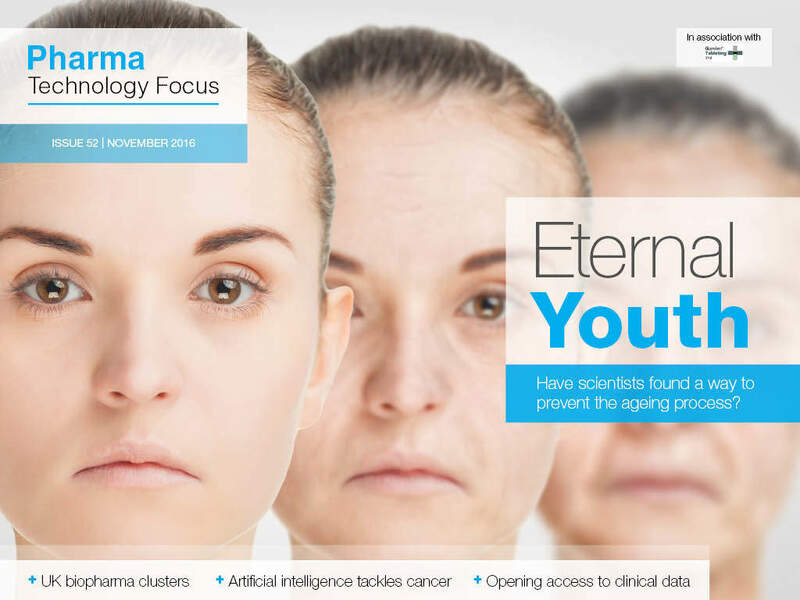 In this issue:A report calls for Oxford and Cambridge to work together in the biopharma sector, IBM’s new lab-on-a-chip technology, whether harnessing telomerase could trick the ageing process, how BERG is using AI to develop drugs, and more. 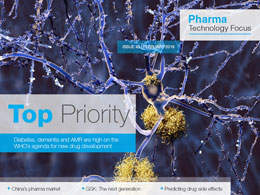 In this issue:Efficiency in Australia’s pharma industry, India’s move to biosimilars, painkillers that don’t rely on opioids, NHS England’s funding of HIV drug PrEP, whether stem cell transplants can be used to treat MS, and more. 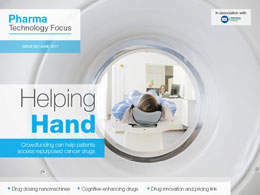 In this issue: Maximising investment by cancer megafunds, positive clinical trials for an antibody to treat lupus, how copper can be used to tackle obesity, whether day and night should influence our drug regimes, a device to soak up excess drugs and more. In this issue: Improving treatment for refugees, making global drug price regulation work, a new approach to AMR, tackling depression with psilocybin, combating counterfeit Viagra, innovations in temperature controlled packaging and more. 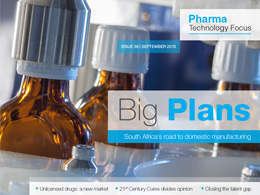 In this issue: Nurturing an African pharma boom, the challenges of designing biodegradable drugs, the UK’s R&D tax credit scheme, advances in prostate cancer treatment, treating heroin addiction, best practice for anonymising clinical trial data and more. 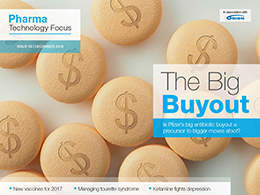 In this issue: The breast cancer drug pipeline, getting biosimilars to market, the debate about animal research, olive leaf extract on trial, text mining in the biotech sector, outsourcing clinical trials in emerging markets and more. In this issue: Getting a grip on the Zika virus, mining for medicines, Obama’s cancer moonshot, learning from Bial’s French trial disaster, digital innovation in pharmaceutical packaging and more. In this issue:Israel’s pharma market, what Brexit would mean for clinical research in the UK, developments in obstetrics, the trouble with inhalable insulin, the FDA’s new support for innovation in manufacturing, plant-based vaccine manufacturing and more. 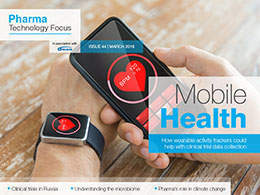 In this issue: Clinical trials in Russia, how understanding the microbiome could help with drug delivery, making the most of data analytics, the potential of wearable trackers in clinical trial data collection, the pharma industry’s role in fighting climate change and more. 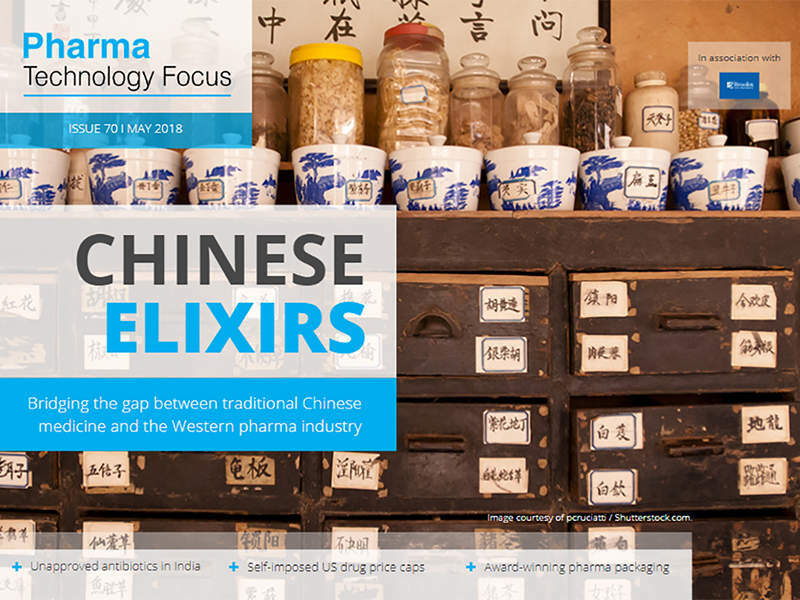 In this issue: A look inside China’s pharmaceutical market, GSK’s pipeline to 2020, tackling the world’s most pressing clinical needs, new digital tools for clinical trials, a new approach to predicting side effects and more. 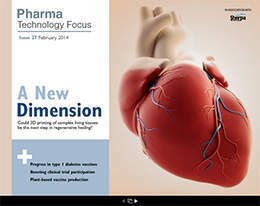 In this issue: Bridging the GP – big pharma divide, the year ahead in regulation, world-changing research into parasitic diseases, the first 3D printing method for adult stem cells, the ethics of marketing pharmaceuticals online, and more. 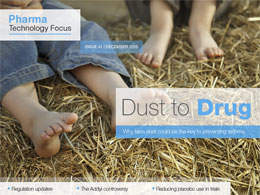 In this issue: regulation updates for EU-FMD and IDMP, why flibanserin remains controversial, why farm dust could be the key to preventing asthma, new efforts to reduce placebo use in clinical trials, and more. 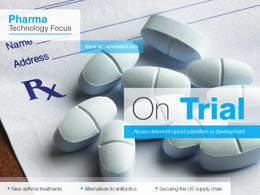 In this issue: The industry’s quest for abuse-deterrent painkillers, progress of the US Drug Quality and Security Act, innovations in asthma treatment, the search for alternatives to antibiotics, how the UK’s biosciences sector can attract new talent, and more. 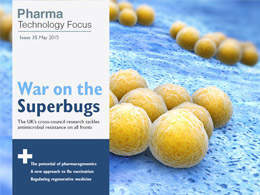 In this issue: How the industry can prepare for Britain’s EU referendum, London’s proposed £10bn drug development ‘megafund’, why antibiotics innovation has stalled despite the growing AMR threat, new malaria research that could lead to a $1 cure, the potential of statins for cancer treatment, and more. 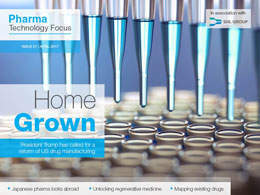 In this issue: South Africa’s long road to domestic manufacturing, the 21st Century Cures Act divides opinion in the US, closing the talent gap in contract research, the growing market for unlicensed drugs, and more. In this issue: New findings on fake medicines, progress in predicting cancer, the rocky road ahead for biosimilars developers, a new wave of treatments for hearing loss, trends in packaging and more. 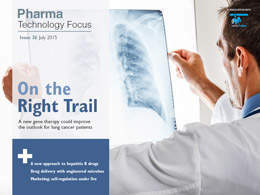 In this issue: A new gene therapy for lung cancer, a new approach to hepatitis B vaccines, tackling obesity with bioengineered bacteria, what Apple’s ResearchKit brings to clinical trials, big data solutions to pharma’s problems, European marketing self-regulation under fire, and more. In this issue: How pharmacogenomics is paving the way for personalised drug plans, new ideas for flu vaccine development, fighting antimicrobial resistance on all fronts, why a regulatory re-think is needed to unlock the potential of regenerative medicine and more. In this issue: Unlocking unknown benefits of existing drugs, a new approach to stopping cancer spread, competition and opportunities in the HIV drugs market, building up business in Japan, striking the right balance with child-resistant drug packaging and more. 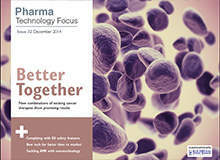 In this issue: New combinations of existing cancer treatments show promising results, complying with new EU-FMD safety features, increasing time to market with new technologies, lymphoma treatments in the pipeline, tackling AMR with nanotechnology and more. The clinical trials special issue: the economics of large-scale trials, new treatments for Type 2 Diabetes and obesity, the benefits of adaptive licensing for orphan drugs, data and trial management software and more. 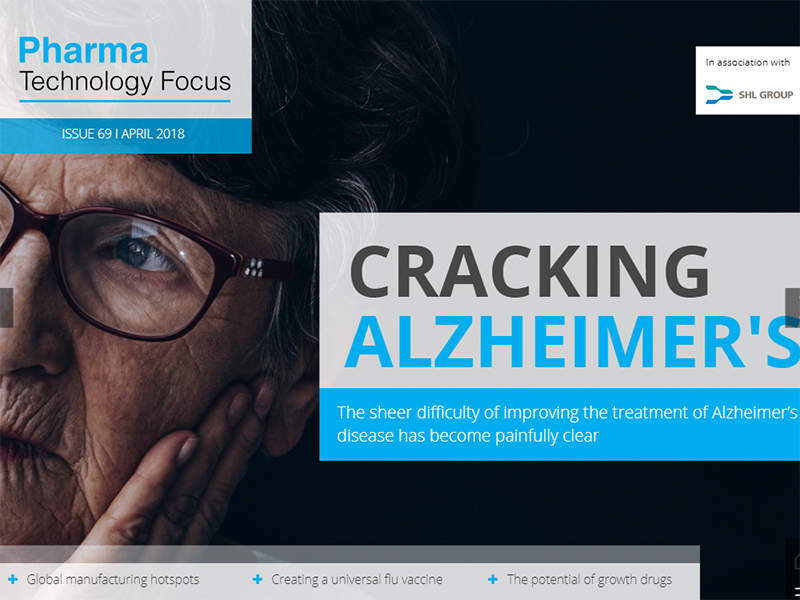 In this issue: A new approach to Alzheimer’s clinical trials, India’s ambitions to jump from generics manufacturer to drug innovator, integrating real-life data into drug development, a new era for PAH treatment in the UK, self-expiring pharma packaging and more. 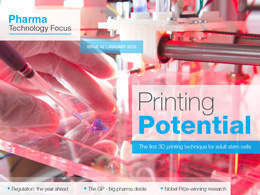 In this issue: Boosting clinical trial participation, the potential of bioprinting in regenerative medicine, progress in type 1 diabetes vaccines, the US military’s plant-based vaccine production project, software that speeds up tumour tissue analysis, controlling malaria and dengue fever outbreaks with open-source modelling, and more. 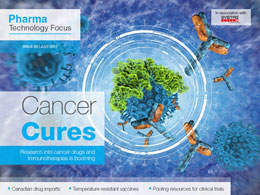 In this issue: New hope for preventative HIV vaccination, crowdfunding clinical research, effective cancer treatment with antibody-drug conjugates, the role of naïve t-cells in cancer and HIV treatment, continuous manufacturing, new inhalation technology, and more. Fighting Fakes: From packaging technology to new legislation, industry and regulators are battling on all fronts against the spread of counterfeit medicines. 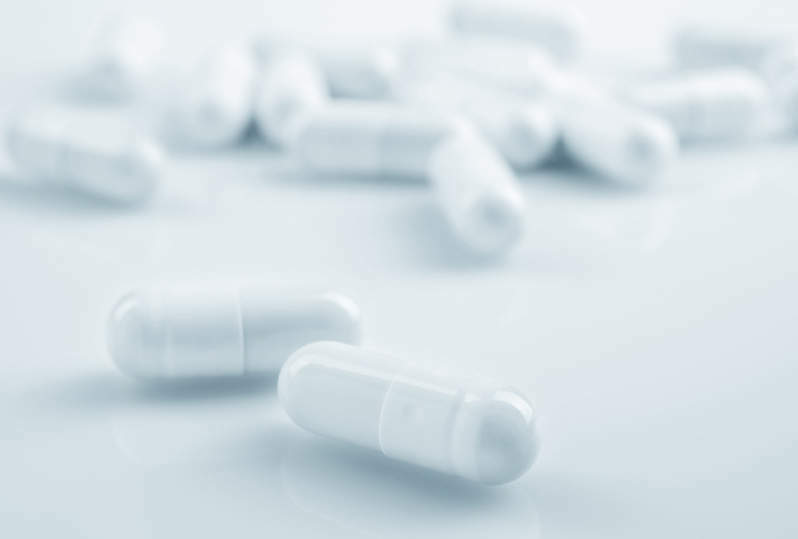 Output vs. Quality: Are increasingly stringent regulations on manufacturing and ingredients the cause for the growing problem of drug shortages? Programmable, self-propelled and powerful: How nano-devices could open up the door to a new era of highly targeted drug delivery. 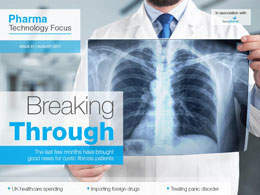 Clouds of change : How advanced computing technology will help Big Pharma to manage and streamline the growing amounts of ever more complex clinical data. In the pipeline: From advances in robotic research to new cures for addictions and life-threatening diseases, drug developers are opening up new frontiers. 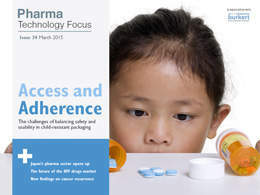 In this issue: Essential protection – pharmaceuticals place high demands on packaging, giving rise to ever more advanced packaging technologies to ensure the safety and usability of medicines. Issue theme: Manufacturing and ingredients – We look at technological advances in the field of pharmaceutical manufacturing and APIs and explore some of the challenges faced by companies operating in the sector. 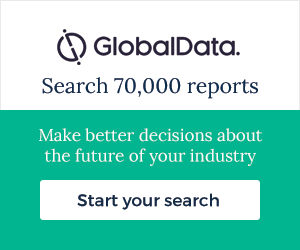 Reach your audience – delivered directly to 50,000 industry professionals inboxes and be seen by our online community of 45,000 visitors every month. 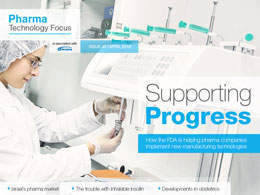 “We at Bürkert chose to work with Pharma Technology Focus online magazine because we find it to be a very innovative tool, not only as regards the stunning design but also elements such as interesting animations, videos and interactive images.